The Movie Poster »Une Arnaque Presque Parfaite« for the Movie »The Brothers Bloom« from Director Rian Johnson on CAFMP – Central Archive for Movie Posters. 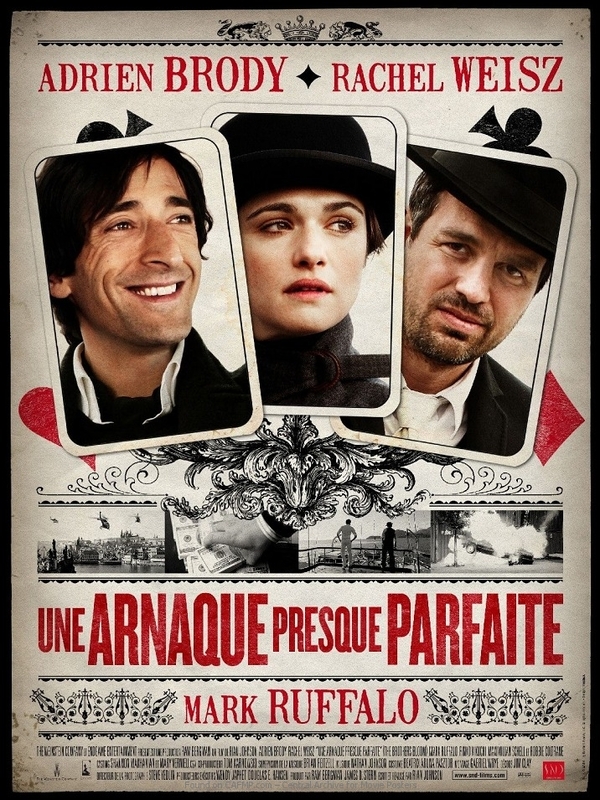 Poster »Une Arnaque Presque Parfaite« from movie »The Brothers Bloom« on CAFMP - Central Archive for Movie Posters with the star Adrien Brody and Mark Ruffalo and Rachel Weisz on it. If you found a mistake in our data for the Poster (Une Arnaque Presque Parfaite) just send us corrections or further information with this form. This is NOT a comment form. For release comments to the posters scroll down.